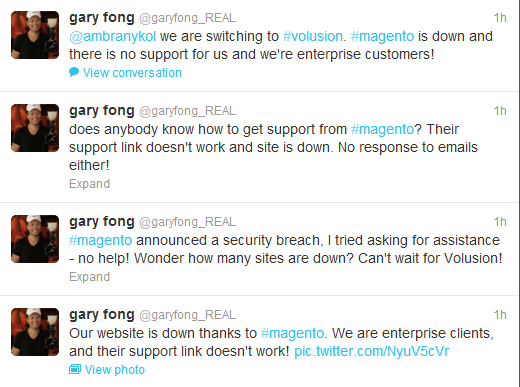 Gary Fong like many Magento customers received the dreaded screen when your Magento site is down. You type in your url, and ERROR is across the screen. 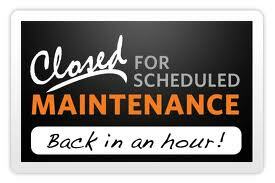 Scrambling to find customer service from Magento to get your site back up and running is always a daunting task. You think after paying for an Enterprise Magento site which comes at no small cost of $14,000 a year, there would be efficient customer service, wrong. Understandably with frustration, Gary Fong began to search for any service to get his site up and running after all it’s like locking your business door and staring through the glass at customers trying to view your products. Not only at Customer Paradigm do we have easy contact forms when you are in need, we also have a phone number directly on the page. I am surprised with the urgency that he needed to get his site back up and running, he didn’t pick up the phone and call us right away at 303.473.4400. We are very responsive to our contact forms, and within minutes of receiving his urgent need his site was back up, his doors for business open and ready for customers.